I’ve finally reached the last part of this series of catch-up posts. Huzzah! This post covers 3 short story collections that I finished recently. I have realised that I like short stories best when I read then when I feel like it, rather than reading all of the stories in a collection one after the other, and I started reading some of these collections a year or so ago, so these mini-reviews are probably going to be more general impressions that I was left with after reading. So without further ado, onto the reviews! I bought this completely on a whim from a bookshop I go to with a small section of English books… and I’m really glad I did! 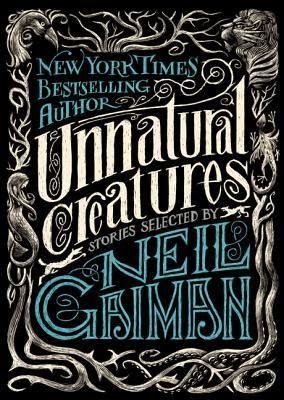 It contains 16 stories (including one by Neil Gaiman) by a really wide variety of authors, and although this kind of anthology can be a bit hit and miss, I didn’t actively dislike any of the stories at all, so yay! I must remember to actually see what other stuff some of the authors that I had never heard of have done. I read a lot of this while I was very stressed out by work and other things and couldn’t concentrate on novels, and it was perfect for that kind of reading. If you like stories about weird and wonderful creatures, then this would be a good collection for you! Just don’t go into it expecting it all to be by Neil Gaiman. As some online reviewers have. It’s very obvious that it isn’t from the cover, silly people! 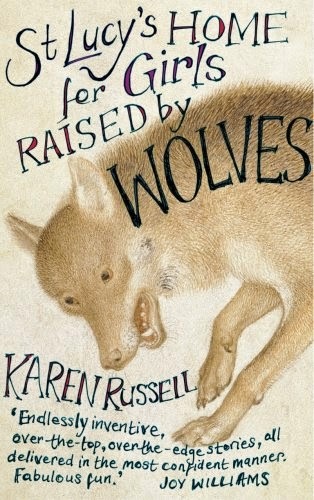 If you are like me, you’ve probably heard people raving about how amazing Karen Russell is. After hearing a lot about this book, I thought that there was no way that I wouldn’t like it… and I was right, sort of. Firstly, I think Karen Russell has an absolutely insane imagination, but also a gift for making stories based on intriguing, otherworldy premises seem completely plausible. I found the ideas behind some of the stories more interesting than others, but I really enjoyed seeing how the world worked in each story. On the other hand though, I found the first few stories I read to have disappointing endings. I don’t necessarily look for all ends to be tied off in a nice neat little bow, but some of the stories seem to end really abruptly, and I was left going “…and? !” after the first few. But once I accepted that the stories may not end in a way that satisfied me, I ended up really enjoying the rest of the stories. I think ultimately whether you enjoy this collection or not will depend on what you personally read short stories for. If you read them for beautiful language, or interesting ideas then you will not be disappointed. If you need a definite ending to the stories, this may not be for you. But, even though I struggled a bit at first, one I had realigned my expectations I REALLY enjoyed reading the rest of the stories, and I definitely want to read Vampires in the Lemon Grove at some point! I had no idea what this was when I bought it, haha. I thought it might be a collection of essays, but it turned out to be short stories. I don’t think this will be everyone’s cup of tea, but the stories were all written amusingly, and had some interesting ideas in. It was a little bit hit and miss for me, in that although I enjoyed reading all of them, I have problems recalling most of the stories now. I REALLY enjoyed “the gifted”, the last story in the collection, which is about a school project which goes horrifically wrong. It was creepy (unsurprisingly, given that it is narrated by a group of dead schoolchildren!) in a really good way, and definitely stood out from the other stories for me. 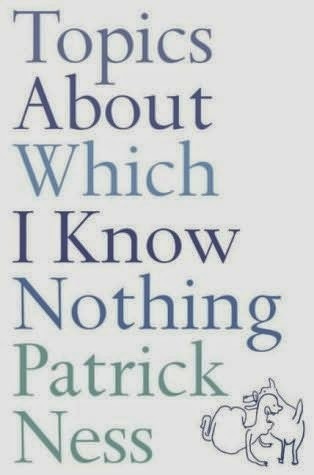 If you like Patrick Ness, I think it’s definitely worth reading! Jen reads... lots of stuff!